Sakai FF Kohaku wins GC at the Hiroshima Nogyosai Show! Sakai of Hiroshima just took top honors at the Hiroshima Nogyosai show yesterday, November 3rd 2014. 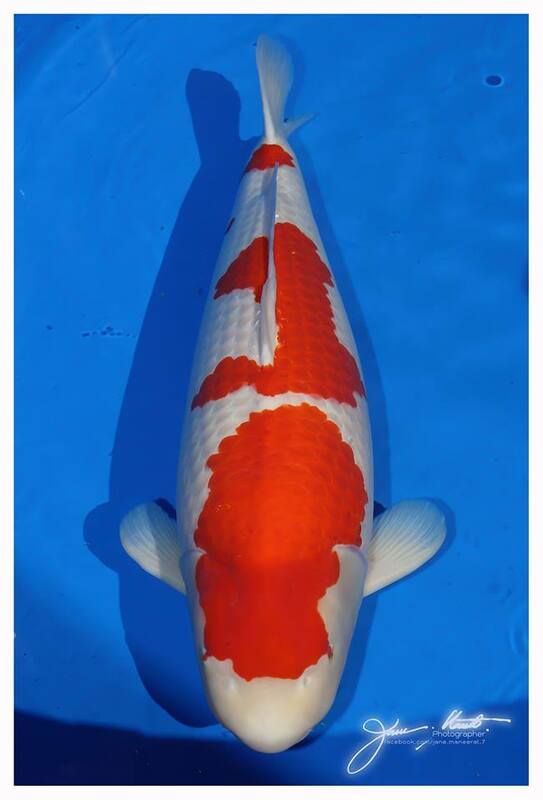 The Grand Champion trophy was given to this very deserving 88cm (34.5 Inches) 6 year old Kohaku. Congratulations to Sakai Fish Farm, Koi Kichi Fish Farm and owner Pollapat Junvimaloung. This entry was posted in Uncategorized on November 3, 2014 by koiadmin.